Yes, I know. 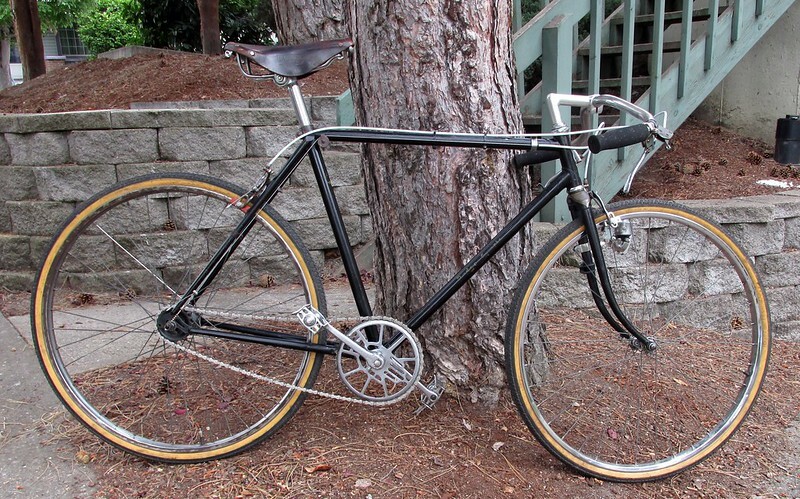 I'm selling my beloved 1953 Rudge Sports. Why? Well, with the big changes that I've talked about, I simply need to. 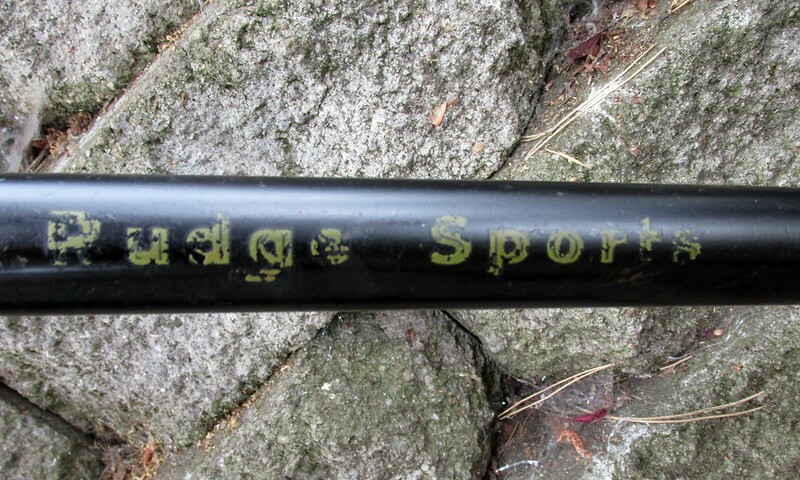 While owning five bikes may not be that much to those who have a dozen or more in their basement/garage/yard/living room/etc, for me, a man who has to find new digs soon, it's one too many. 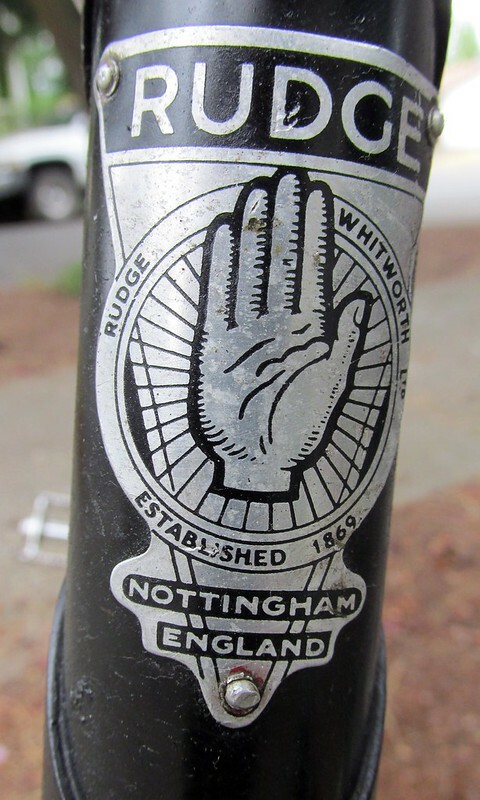 And yes, the Rudge is indeed a cool bike, the oldest bike that I own. But let's be honest here: It's a tad too small for me, I never ride it nor give it the attention that it deserves. I know, I know: The frame is cooler (and better) than my 70's Raleigh Wayfarer, but the larger frame on the Wayfarer fits me better. 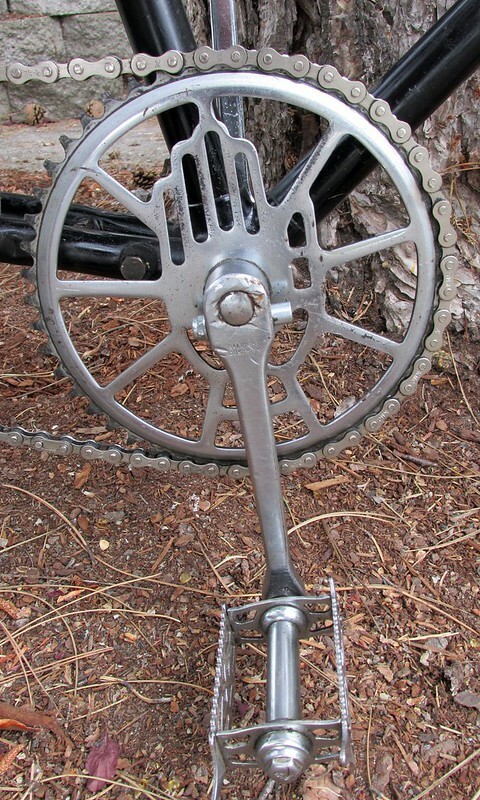 I know, I know: How can I part with that cool head badge and chainring? But part I must. So it's now time to find the Rudge a good home. 26" x 1 3/8" (aka EA 3, 650A, or more accurately ISO 590) wheels. Generic tires. 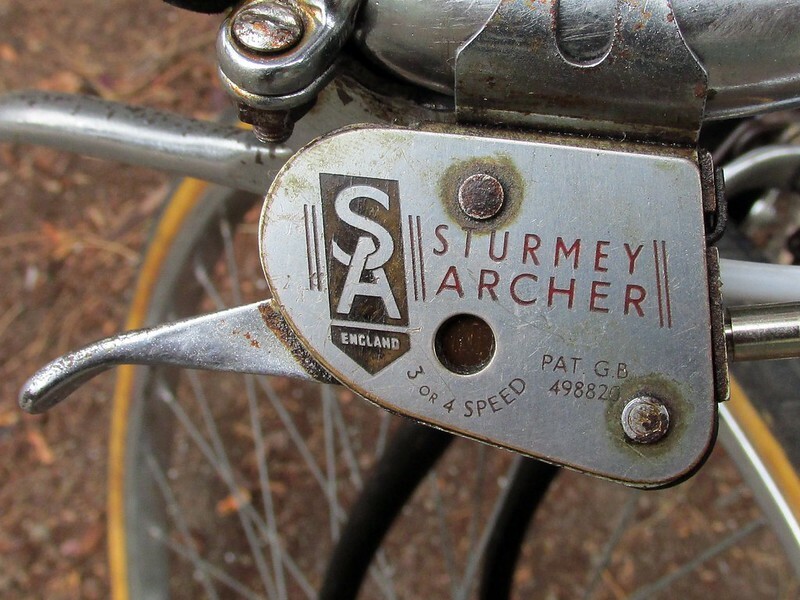 Sturmey-Archer AW three-speed hub, rare alloy (aluminum) shell, date stamped 1953. Functions smoothly. 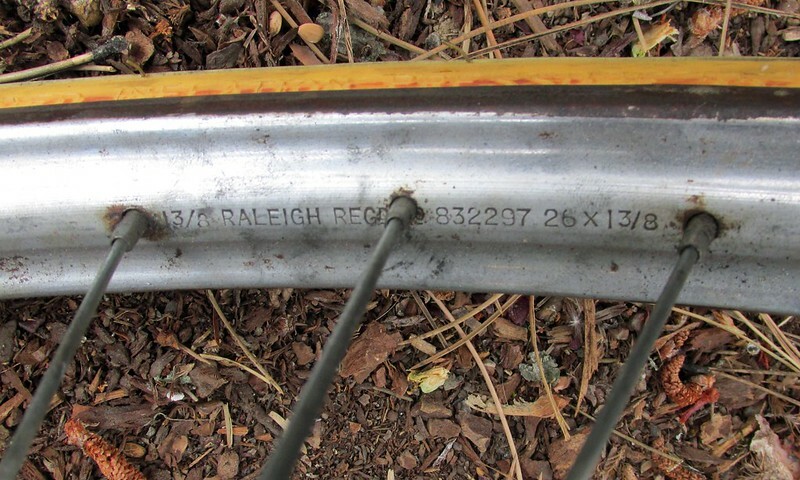 Rear wheel is original to bike with Endrick/Raleigh-pattern rim. 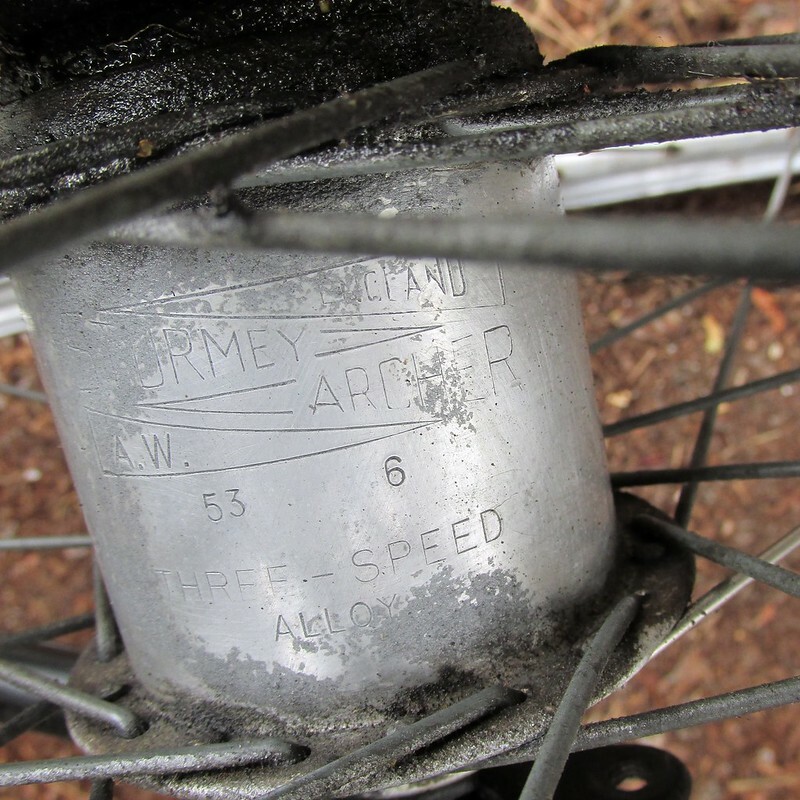 Front wheel came off a 1970's era Raleigh three-speed, has a plain rim but has a hub with oil port. Both rims are steel. 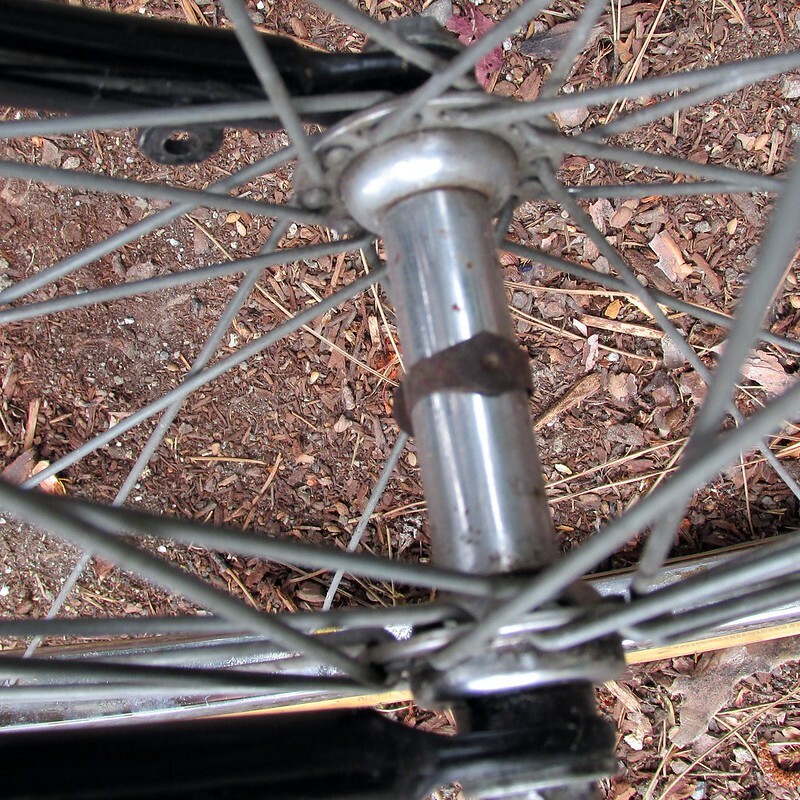 Some rust on braking surface of rear rim. 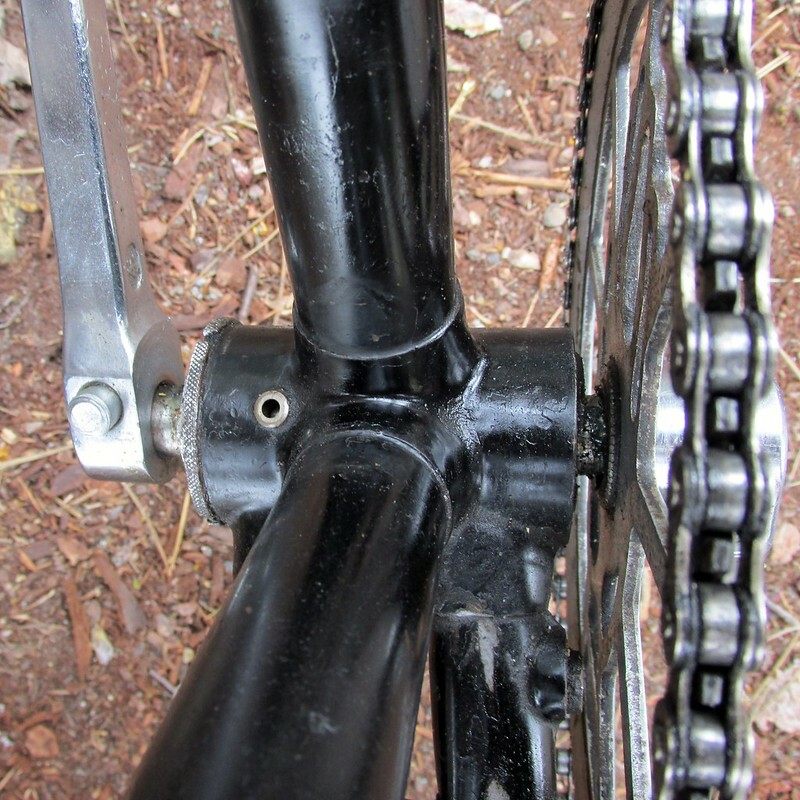 Bottom bracket has oil port! Recently overhauled as well. 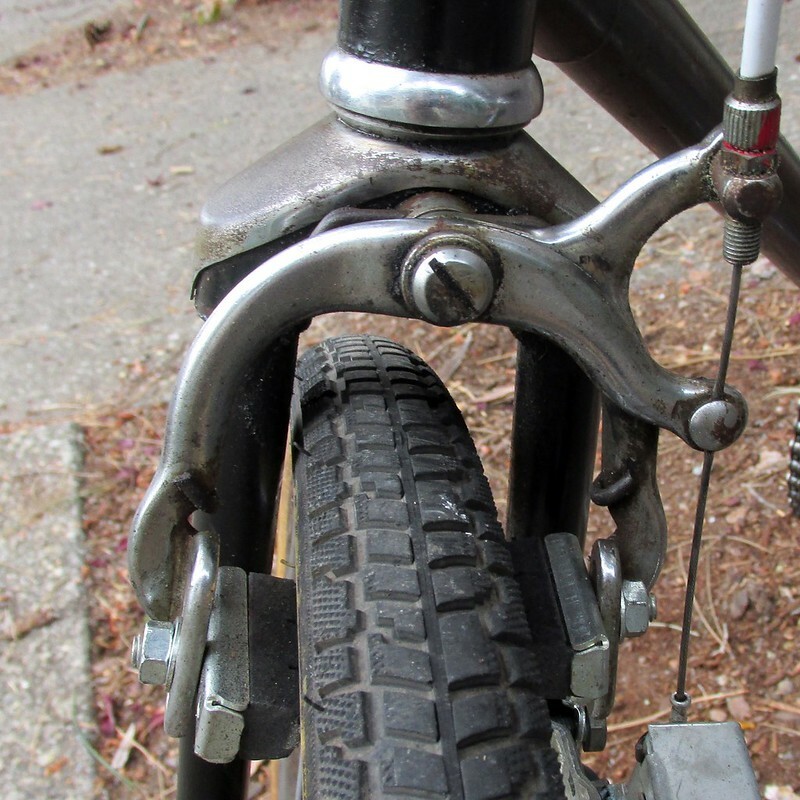 Raleigh side pull caliper brakes. If you are interested, please get in touch. Email me via this link. So sad when we have to find new homes for our bikes. I just recently sold my '69 Hercules, for many of the same reasons (too tall, didn't get ridden, I have 5 other bikes...). Good luck with the sale!